All-purpose 2-color combo poly tarps. 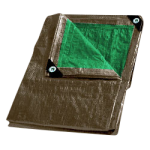 Great for general use and temporary protection from the elements. Double-sided woven polyethylene strand construction. UV-resistant for long usage life. 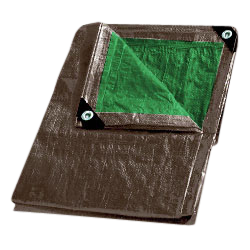 For continuous outdoor exposure protection, we recommend our heavy-duty tarps.